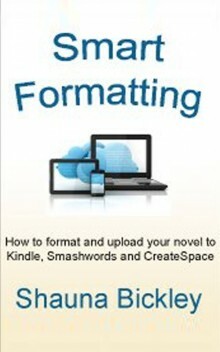 This book explains the steps required to format your manuscript for uploading to KDP and Smashwords. It gives practical advice on the MS Word settings to use, and those to avoid, and includes step-by-step guidelines to produce a clean manuscript ready for uploading. It also covers the steps required to format your manuscript for a print book using CreateSpace. The elements you need ready before uploading your manuscript. MS Word settings to use, how to create and modify styles, indented and block paragraphs, and how to build a Table of Contents using bookmarks and hyperlinks. Formatting for KDP and Smashwords. Uploading to KDP and Smashwords. Formatting and uploading a paperback to CreateSpace. This book has instructions for using MS Word on a Windows PC system and does not have guidelines for using a Mac. It does not cover how to write and edit a book.